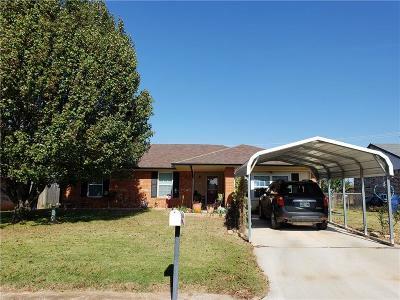 Nice 3 bed home featuring a large living room, large 2nd liv/dining combo. Spacious master suite with walk-in closet. Many updated features: kitchen cabinets & counter tops, double pane windows, heat & air, hot water tank, kitchen stove & vent hood, 3 storm doors, added insulation, driveway, carport, guttering, etc. Large fenced backyard with backyard access.